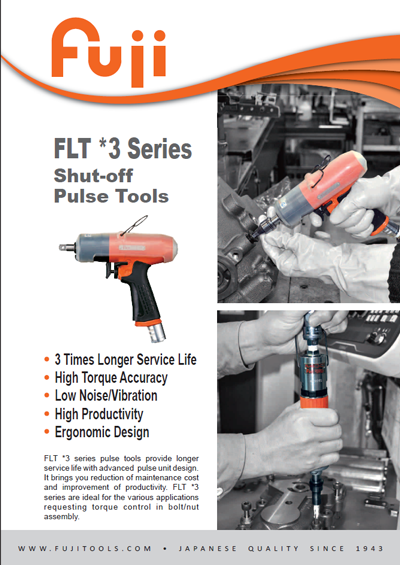 We are pleased to announce the launch of the FLT *3 Series Shut-off Pulse Tools – our new shut-off pulse tools following the current FLT and FPT Series Shut-off Pulse Tools. 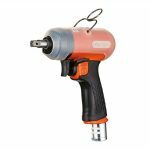 Fuji FLT *3 Series Shut-off Pulse Tools are the ultimate pulse tools for various assembly applications. Their new advanced pulse unit design triples their service life compared to the current FLT series, it reduces the speed of oil deterioration ensuring torque stability. Fuji FLT *3 series improve your productivity by reducing the maintenance costs by 66% and tool changes on the line thanks to their longer service life. 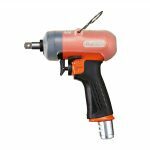 Fuji FLT *3 Series Shut-off Pulse Tools also have the ergonomic friendly design, the minimized torque scatter, the torque accuracy and the stable and repeatable shut-off torque that offer our current FLT series. 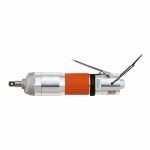 Fuji FLT *3 Series Shut-off Pulse Tools consist of 2 types (pistol and straight) including both square drive and bit shank with various torque ranges (from 5 N.m to 150 N.m). The CD reporting types are available for the fastener counting while connecting with FFA-2-2 Countdown Adapter. The low air pressure models are also available in addition to the normal air pressure models to satisfy various demands at different air pressure conditions. 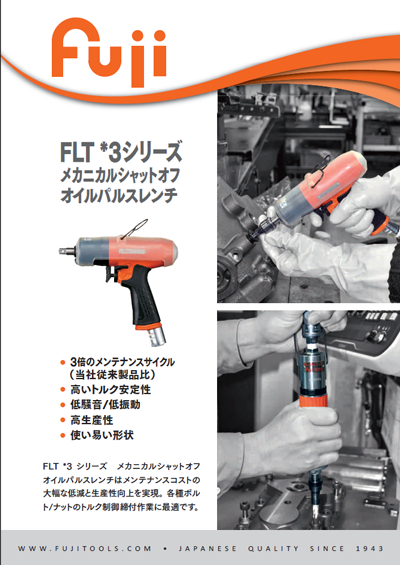 Fuji FLT *3 series provides an ideal solution for various assembly applications thanks to the wide range of models available. 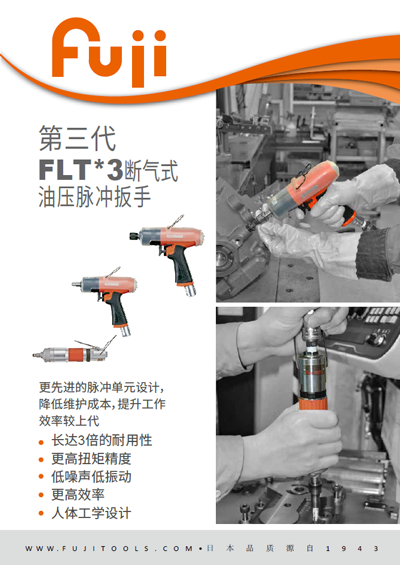 FLT *3 series are now available for purchase in all market areas.